Our donors and recipients share the impact giving can have. 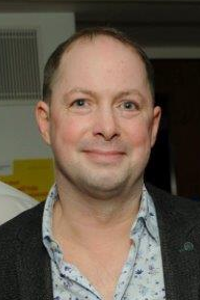 I am very proud to have graduated from City, University of London some 25 years ago in music, and fortunate enough to be in a position to have created scholarships in memory of my closest friend and fellow graduate, Robert Chalmers. His achievement in music, prior to his tragic death at the age of 39, was exceptional. I hope his legacy will be a true inspiration to those students who are awarded scholarships in his name. I started university a year after the £9,000 fees were implemented and firm in the knowledge that I would have a minimum of £27,000 debt when I would leave. At the age of 18 that was more money than I could understand and was really quite daunting. I took up several tutoring and babysitting jobs so that I could start saving up and didn't even question the idea of living away from my parents' home due to the added financial pressure of that. I jumped at the opportunity to apply for the George Daniels scholarship as I knew that not only would it cover my fees, it would also mean that I could get several of my evenings and weekends back so that I could focus on my work and also have some fun and socialise too, which I hadn't really been able to do until then. The George Daniels scholarship has not only paid for my fees and given me more time to focus on my studies, it also gave me an incentive to perform to the best of my ability right from the start. I was therefore able to develop a good work ethic right from my first year and continue that throughout my studies. When I started university I did not consider the idea of completing a Master's as I simply wouldn't have been able to afford it, but due to the support of this scholarship I do not have a £27,000 debt so I will be able to complete a Master's next year. This is vital for me as an engineering student because it is very hard to become a chartered engineer with just a Bachelor's. 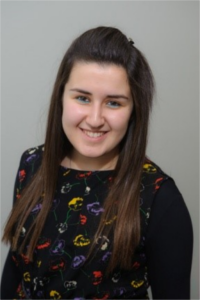 This scholarship has helped me hugely on a financial level while giving me the opportunity to truly reach my potential academically and to knock away many barriers that I face on my way to becoming an engineer. I know without it I wouldn't have got to the point that I'm at now and feel an immense level of gratitude as a result. Over the past 10 years funding from Santander Universities has now totalled over £1 million. This gift has supported over 200 students in their studies and various programmes and initiatives including entrepreneurship events and internships. The support our students have received over the years has made a real difference to the lives of many who otherwise might not have benefited from a university education. Santander has played a large part in our success over the past 10 years and as we look forward to the next 10, we do so in the knowledge that we have such a special relationship. 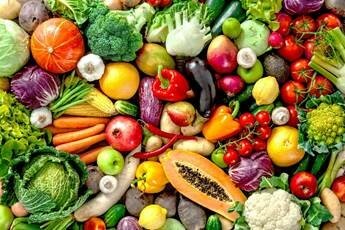 The Centre for Food Policy at City were delighted to receive confirmation in 2018, that the Company has approved £10,000 towards the 2019 Food Symposium and will continue its commitment to an MSc dissertation prize. The successful annual event brings together experts to share and learn experiences around key questions in food policy. The event consists of presentations and workshops throughout the day and is attended by representatives from government, business, national and international charities, enterprises and NGOs along with academics and students. The Worshipful Company of Cooks will be the sole funder of City’s 2019 Food Symposium. The day would not be possible without the Company’s generous support and we are very grateful for this. City’s School of Health Sciences’ Radiography department were awarded a generous donation of £150,000 by the Wolfson Foundation towards the purchase of a new Triathlon T3 Precision radiography system. 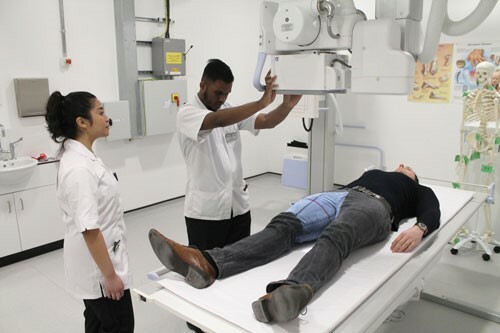 The new equipment will enable the delivery of high-quality images in a faster and confident manner, better preparing students for a career in radiography by familiarising them with the equipment used in the majority of hospital imaging departments. We are very grateful to the Wolfson Foundation for their support and look forward to extensive equipment usage in the near future. 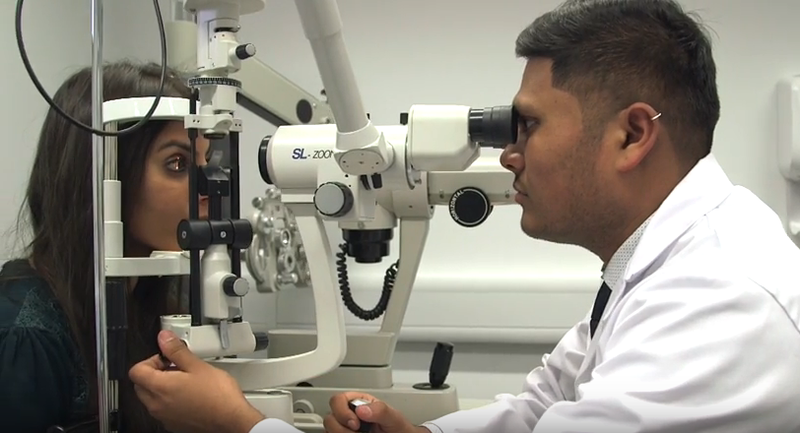 City’s Division of Optometry and Visual Sciences were awarded £9,000 towards a unique travel opportunity for their second-year optometry students. Over three years, twelve students will attend the world famous L.V. Prasad Eye Institute in India. As part of their two-week elective, students will take part in clinical observations of patients and attend lectures, meetings and tutorials. The project will increase students’ academic knowledge and practical skills linked to eye-related diseases in the context of a developing country. They will also improve their cultural competency and also benefit from professional interaction with international optometry experts. The School of Health Sciences is extremely grateful for the support of the Hospital Saturday Fund. The funding will provide an invaluable experience for our students who will take the experience through their optical career and beyond.